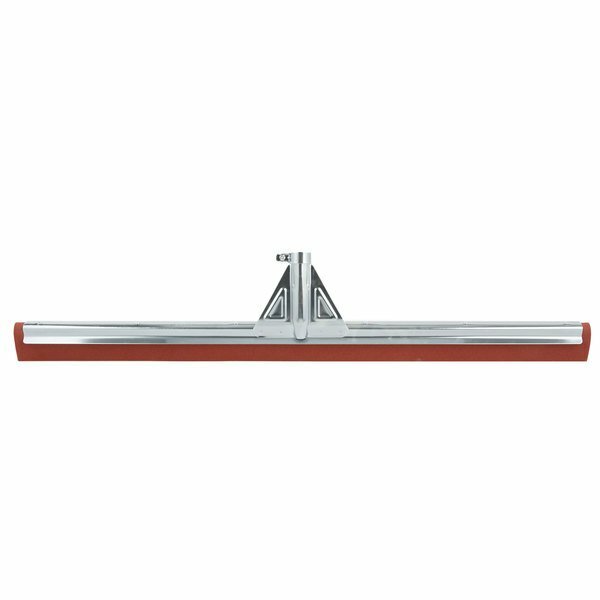 This Unger HW750 WaterWand 30" floor squeegee is ideal for removing standard volumes of water from uneven, indoor surfaces like grouted tile floors or non-slip and broadcast grid floors! 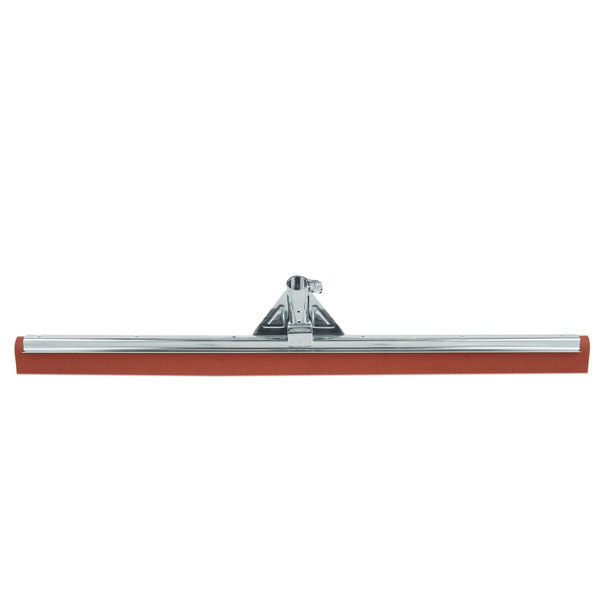 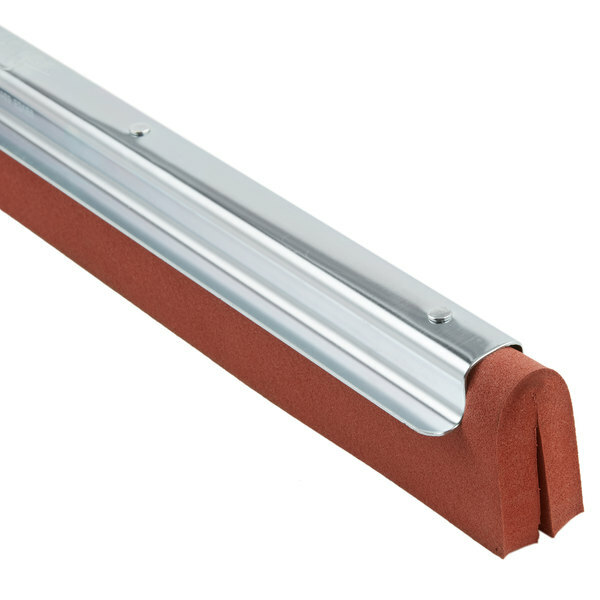 Featuring a 30" wide double red neoprene foam-rubber blade, this squeegee promotes streak-free floor drying and is oil-resistant for use under restaurant equipment or other areas where grease or oil might be present. 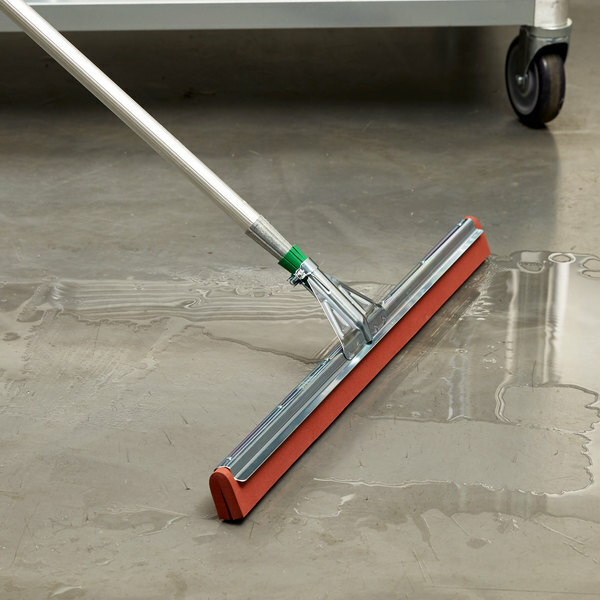 It has a durable 20 gauge steel frame and a reinforced handle socket that allows you to apply more down pressure to easily scrub away areas with heavy soils. 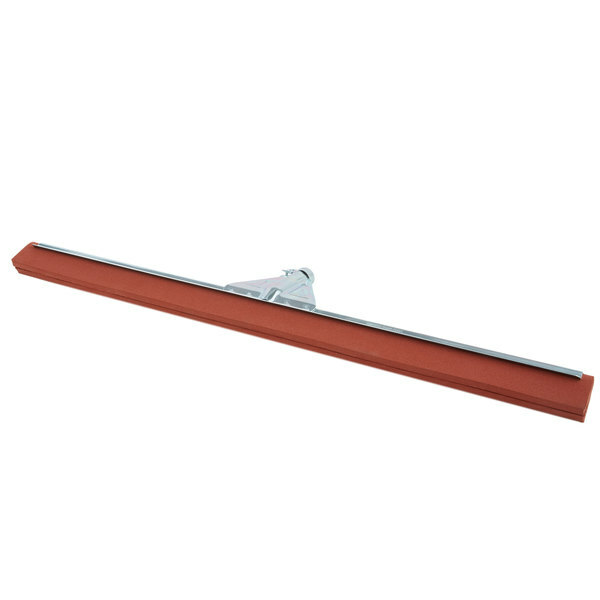 The Unger WaterWand 30" straight floor squeegee has a clamp-style socket to accommodate taper tipped handles (sold separately). 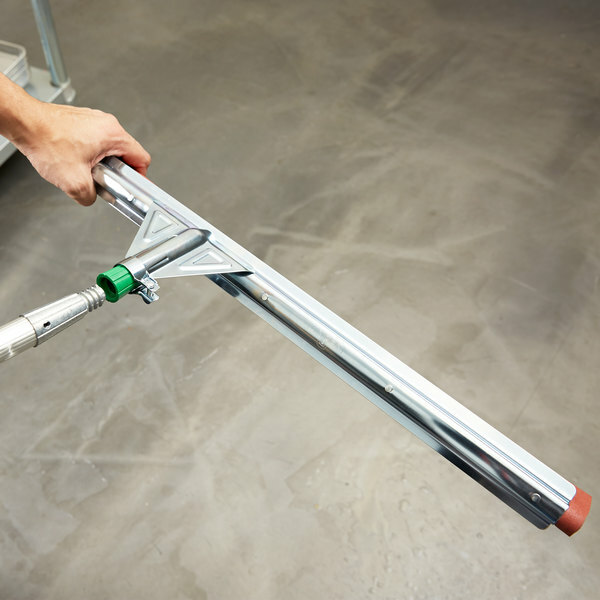 Tools press on the Unger cone for getting into hard-to-reach areas. 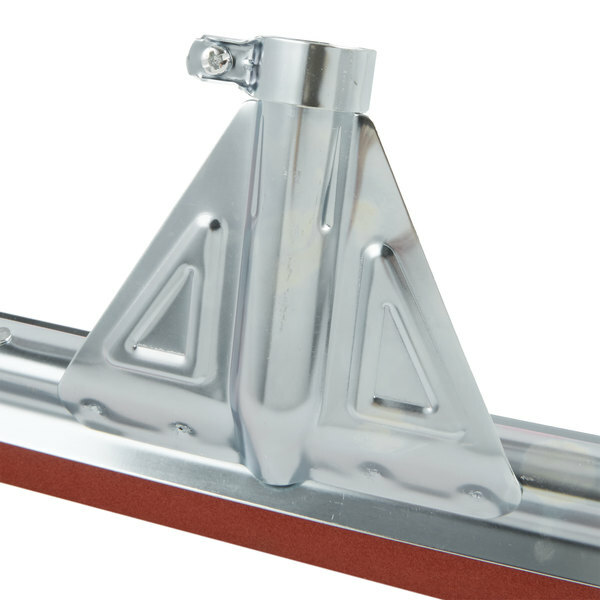 Poles with this symbol can fit any Unger attachment that also has this symbol. 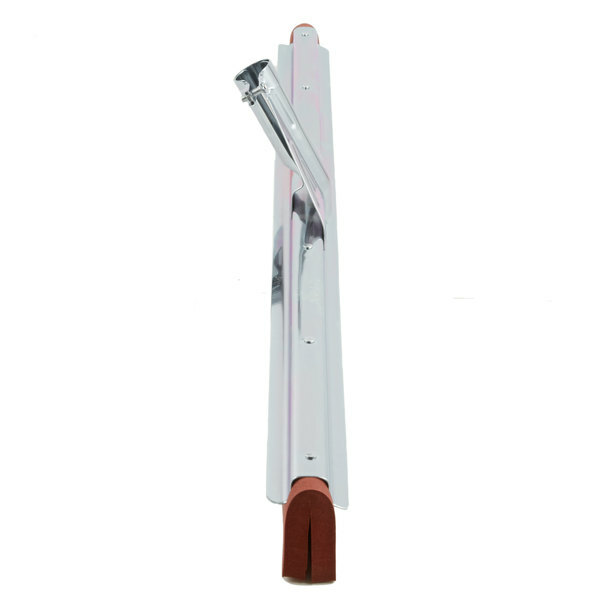 Unger attachments with this symbol will fit any Unger pole with this symbol.